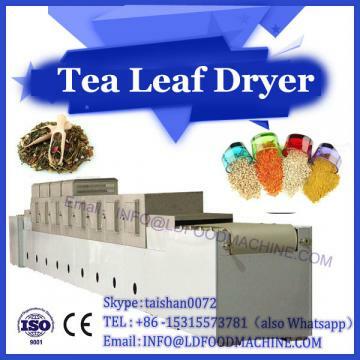 The microwave drying machine is used as heat source to dry tea. The traditional processing principle of tea is followed to ensure the original style of tea in appearance, taste and color. 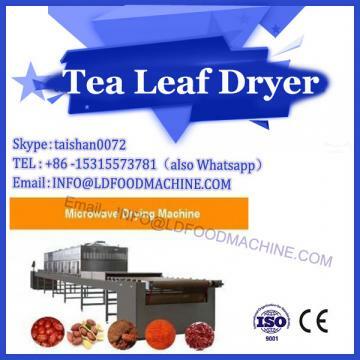 Microwave tea dryer machine is a new type of tea drying process with high efficiency, high drying efficiency, less occupation of production site, cleaner production process and environmental protection. Microwave drying machine is used to heat and keep warm in sections. The oscillation of polar molecules (such as water molecules) in the material is stimulated by microwave energy, resulting in violent internal friction between molecules, so that the object is heated and the water is volatilized. It ensures the full diffusion of water and the homogenization of temperature in tea leaves, avoids the phenomenon of excessive temperature outside the materials when heated continuously, and can effectively preserve a variety of active enzymes in tea leaves, which is conducive to the late fermentation and alcoholization of tea leaves. In addition, the microwave drying method has the advantages of fast heating speed, rapid material heating, high drying efficiency and reasonable water escape path. It is also conducive to efficient and centralized clean production. In the production process, all kinds of dust and harmful bacteria can be completely avoided and production can be protected. The ecological environment and the quality of tea. 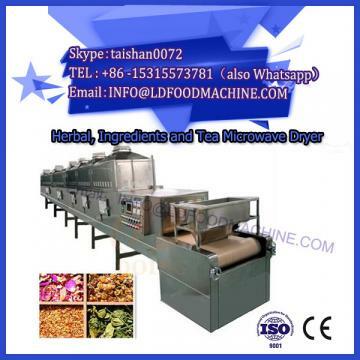 Next pageWhy choose industrial tunnel microwave dryer?